Oliera means oil in Italian, and olive oil is the staple of Italian cooking. 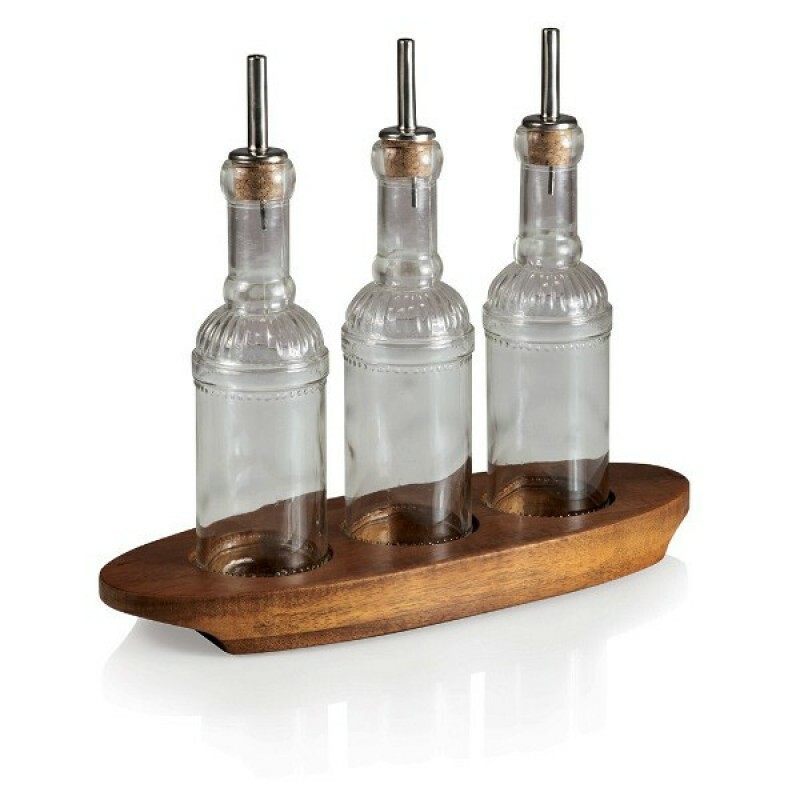 The Oliera features three vintage glass bottles that sit on a beautifully balanced acacia tray. Fill one bottle with olive oil, another with vinegar, and the third with a pre-measured oil and vinegar mixture, such as the one Fabio uses in his kitchen. Features three vintage-style glass bottles in an attractive acacia base. Perfect for mixing specialty dressings, vinegars and oils.